One of the best loved works in the choral repertoire is being brought out of the church and concert hall into an exciting venue that’s far from run of the mill. 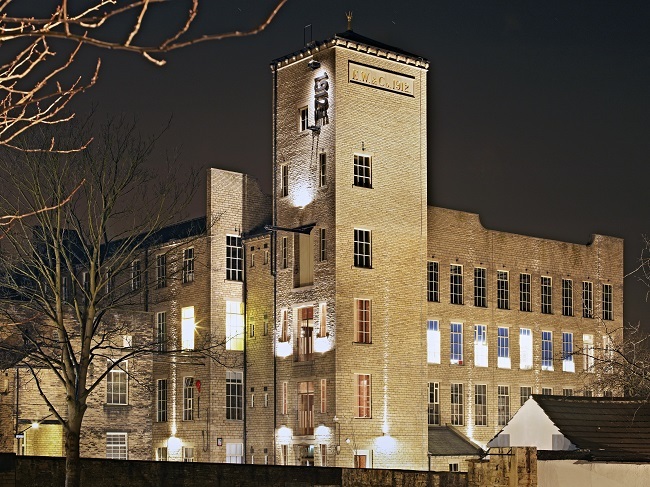 After many years resounding with the clatter of busy looms, the former weaving shed at Sunny Bank Mills in Farsley will instead echo with the glorious sounds of Handel’s Messiah on Saturday 11 March, in a performance by the choir of The Grammar School at Leeds (GSAL) and guest musicians. For this opening event in the school’s Arts 17 Festival, the ranks of the school choir will be augmented by additional singers drawn from staff and parents, accompanied by an orchestra of professional musicians. The soloists are bass Matthew Palmer, tenor Stuart Laing and alto Beth Mackay, who all have performed with Opera North, with soprano Heather Watts, singing teacher at the school. Sunny Bank Mills was the workplace of generations of textile workers between 1829 and 2008, run by the Gaunt family throughout. When the difficult decision was taken to cease textile production the family set about reinventing the mill buildings, which today house a variety of businesses, a gallery, shop and tea room, and host a range of events. Andrew Wheeler, musical director for Messiah, was looking for somewhere out of the ordinary for the school’s performance. He said: “I think it’s the greatest piece of choral music ever written, and it’s important that at some time in their school careers pupils have the opportunity to perform it. Messiah at the Mill takes place at 19:00 on Saturday 11 March at Sunny Bank Mills in Farsley. Tickets are available online or on the door. Visit the events listing on the GSAL website to find more Arts 17 events.